We Have The Right Equipment For Any Size Job. 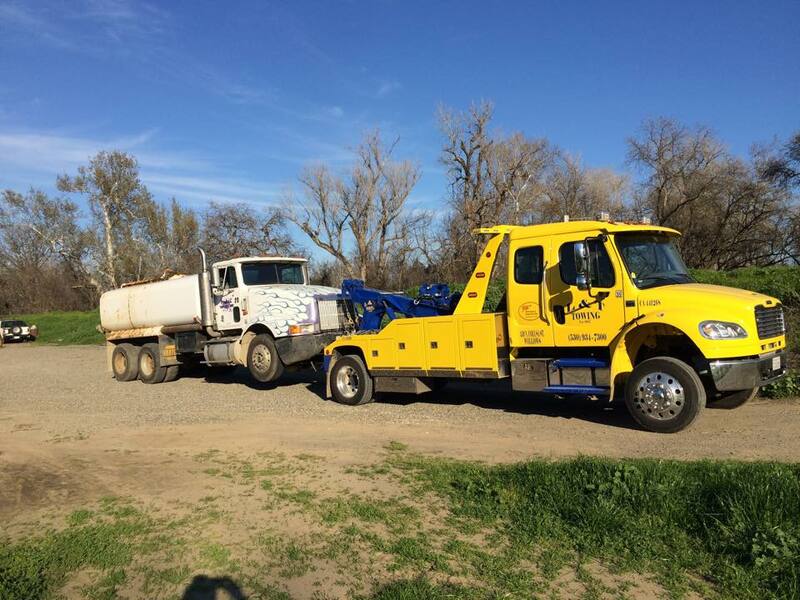 L & T Towing's fleet of Medium & Heavy Duty trucks are ready to handle any semi truck towing need. 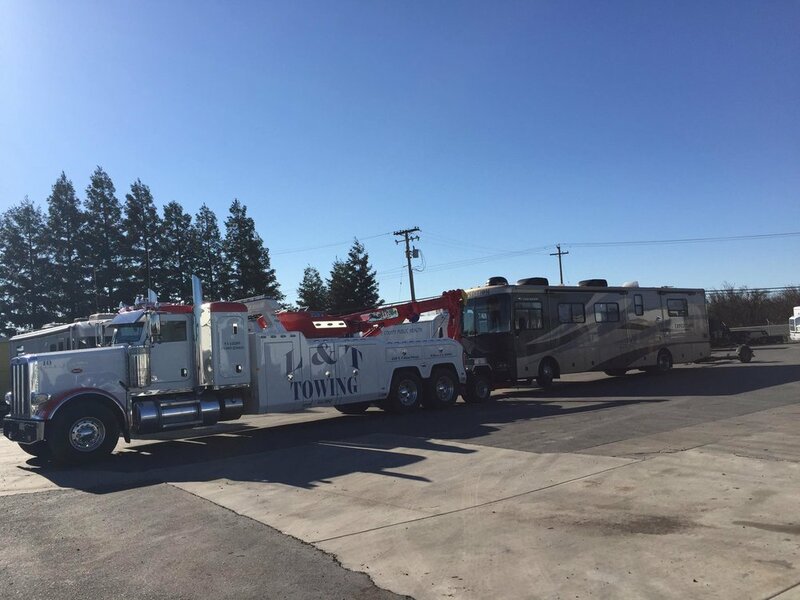 Additionally, our highly trained and professional drivers are very experienced at towing semi trucks. All drivers are CTTA Heavy Duty Certified! We often tow full size buses, RVs and other large vehicles. These trucks are very helpful on the roads and highways of Northern California, and our drivers work quickly and safely with local law enforcement needs. Our medium duty fleet is able to assist with towing a wide array of vehicles, such as 16 passenger vans, cube vans, pie wagons, step vans, small buses, box trucks, ambulances, dually pickups, tractors and utility trucks. Our medium duty drivers are constantly training to assure that your medium duty unit is dealt with promptly and with the greatest care, regardless of the incident. With our extensive fleet of heavy-duty trucks, we will go anywhere at anytime to rescue your equipment. 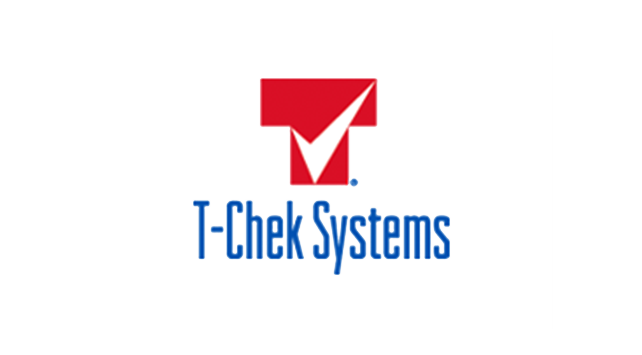 We understand that when one of your trucks is disabled, your bottom line is at risk. Our heavy-duty tow trucks haul most large vehicles including tractor trailers, school buses, dump trucks, motor homes, mobile cranes, construction equipment, straight trucks, and fire and emergency trucks. 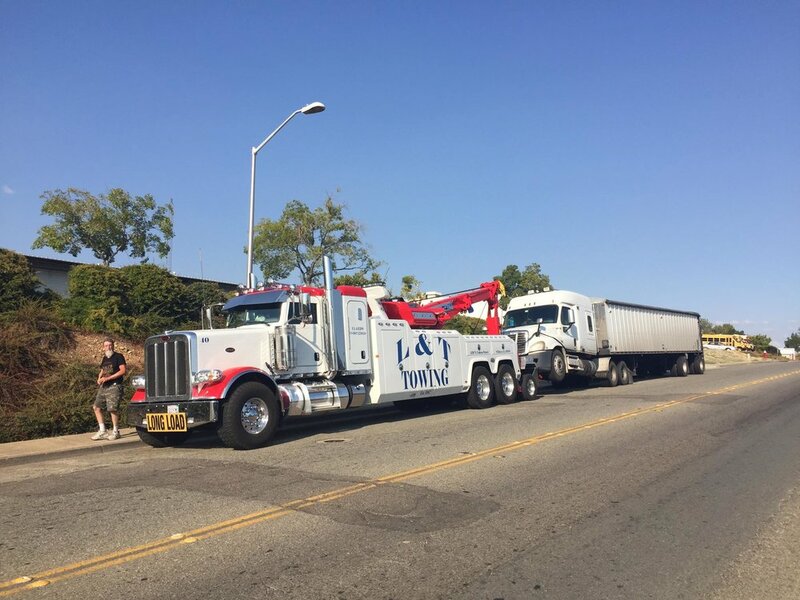 After providing service for nearly 30 years, L & T Towing knows the importance of getting our customers' trucks back on the road. Wider, longer, heavier vehicles are no problem for us either. In most cases we can send the right truck on its way to you within minutes of your call. We have a fleet of trucks available 24 hours a day, 7 days a week, 365 days a year to handle all of your towing and recovery needs.